Everyone needs groceries; why not let a percentage of the money you are already spending come to Islamic Center of Golden. 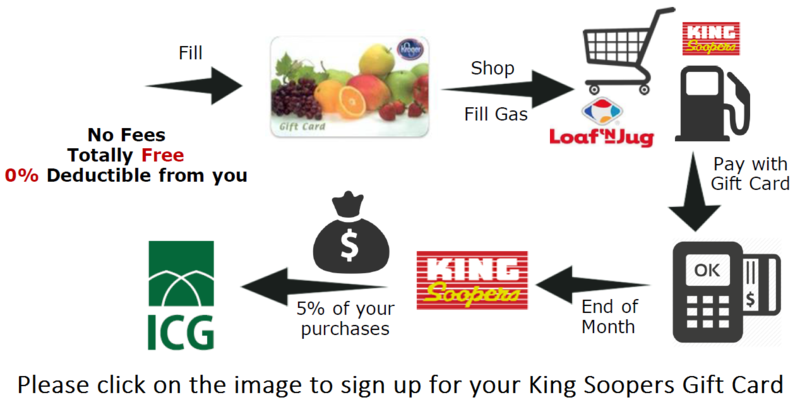 When you make purchases at King Soopers, Loaf N Jug, or City Market using the Gift Card from Islamic Center of Golden, 5% of all your purchases will come back to us. There are no extra costs associated with this program. Please keep you card and continue to reload and use it on every purchase.